The project, which has started on 1st March 2015, is financed from EEA funds and its aim is to produce study of expected impacts of climate change and proposal of retention and infilitration adaptation measures in Morava river basin. The project is tking place of the territor of four regions – Olomoucký kraj, Jihomoravský kraj, Pardubický kraj and Zlínský kraj. 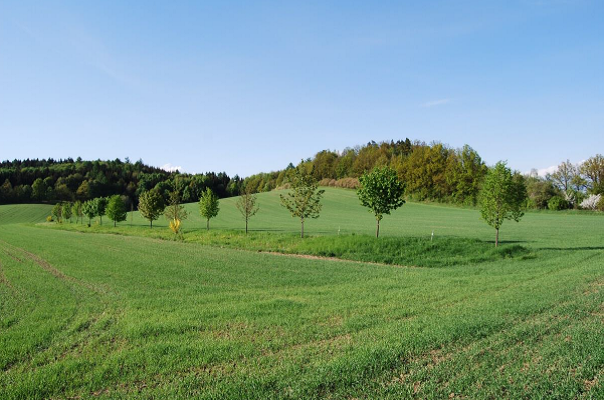 The study is evaluating four types of areas – agricultural land, forest land, floodplains and urbanized areas. There are three scales distinguished within the study . the whole river basin, priority areas, and areas for detailed measure proposals. The project consists of five working packets – 1. analysis of current state and future impacts, 2. IT services, 3. evaluation of analysis and selection of measures; 4. measures proposal and evaluation; 5. pre-negotiation, promotion and awareness raising. The project should be completed to 30th April, 2016. Partner of the project is University of Palacký in Olomouc. Climate changes are one of the key factors influencing water regime. They are justly considered the leading topic of worldwide environmental policy. Climate changes can influence condition of water resources ss for their quality as well as quantity. Basic influenced variables are among others intensity and frequence of flooding and dry periods, accessibility of water, its consumption and quality. Climate change can cause troubles especially in both extreme states of hydrological regime, occurence of dry periods and flooding. In both cases, people’s basic needs are endangered, in case of drz period it is availibity of water, in case of flooding it is safety of people and property. Both extremes can also harm ecosystems in the scale of the whole landscape. Climate condition influence water sources especially via precipitation, evaporation, temperature and humidity of the air. Our project is looking for a solutions, how to reduce impacts of these changes using nature friendly measures. The main contribution of the project we expect in following outputs: analysis of current state including identification of priority areas (where the heaviest impacts are predicted to be worst and where the potential for nature friendly measures is highest); catalogue of nature friendly measures, which can be used national-wide in Czech Republic; proposal of concrete, localised measures in selected areas, quantification of their effectivity (effects and costs), assessement of other impacts, and pre-negoatiation of proposed measures with main stakeholders – local authorities,river managers, foresters, agricultural companies. By the 30th June 205, we completed analytic part of the study, assessing current situation, expected impact and potential of areas for adaptation measures. Results of analysis are available in the technical report (in Czech language). Important output of this stage of the project is the definition of priority areas (see table of priority water bodies, definitions, map). Proposed measures will focus on this areas. Part of the analysis was also preparation of catalogue of measures. Each applicable measure is described on specific sheet, collected to four topic chapters (forest mesures, agricultural measures, measures for urbanized areas, water courses and floodplains). This catalogue is available freely to download. 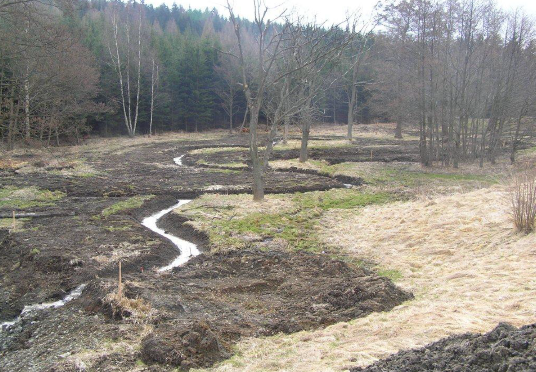 Improvement of hydromorphology of forest water courses. By reasonable application of these measures it is possible to achieve restoration of natural morphology of forest water courses. By encouriging of establisment of arm branches, pools and wetlands, the food suply and migration possibilities for fish and other animals living in waters will be increased. 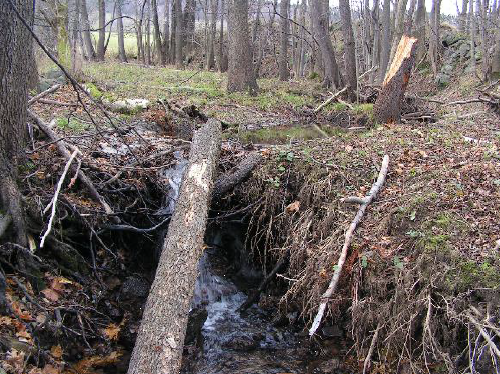 Leaving the channels to natural development in defined limits leads to improvement of retention and infilitration capacity and ability to slow down the flood of the forest habitats. Thus, the measure can contribute to complex solution of flood protection in the whole river basin. Buffer strips used to have irreplacible place in our landscape, within collectivization of agriculture they were unfortunately eliminated during joining the small fields into big ones. Thus, barriers mitigting erosion pocesses disappeared. Buffer strips, created by farmers especially in slope terrain. not only mitigated the erosion, but also increased biodiversity, because they were habitats for wild plants and refugee for animals. Technical modifications of river channels eliminated water courses and their floodplain morphological diversity, and the goal of these constructions was usually to get the water from the andscape as fast as possible. Some sections of the rivers are so morphologically damaged, that is not possible to rely on their spontaneuous renaturalization, and it is necessary to apply technical restoration measures. In restoration projects, it is in some cases possible to use the original river channel or its relicts. Modified water course is redirected to the original channel; the level of modification in original channel depends on how preserved orginila channel is. 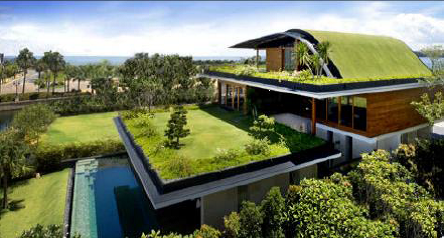 Green roofs brings back vegetation to cities and compensates the loss of soil by development of built-up areas. In bigger cities, the concentrations of dust greenhous gases are elevated, the temperature of air is higher, and problems with rainfall water are common. Green roofs helps to reduce air pollution in city environment. Jevíčka river basin (this area eas appointed as priority in three main aspects. agriculutral land, forests, and water courses and floodplain. Therefore, combine set of measure were proposed here) – description of poroposed measures can be find here and map review here. Town of Uničov (in this pilot area, the measures apllicable in urbanised areas were proposed) – see here. Detailed report with description of evaluated measures, methodology and results can be found here. Start of the project was reported to the media by press release on 31st March, 2015. Following activities of the project includes individual meetings with main stakeholders (river management institutions, foresters, big agricultural companies, municipalities], seminars and conference, brochure and a interactive web application for broader public. Comments of main stakeholders will be processed and final version of the study will be provided to relevant authorities as a background material for land use planning and river basin management plans review. Changes are possible, more detailed information will follow. Project No. EHP-CZ02-OV-1-010-2014 is financed via program CZ.02 by grant from Lichtenstein, Island and Norway. Technical summary of the proposed measures (in English) is available here.